No doubt, many a marketer is taking vacation time to enjoy the sunshine and outdoors. For those of you feeling the heat at work from bosses who want you to come up with ideas for new content, remember everything old can be new again. In the latest installment of Unwrapping the Secrets of SEO, I’ll walk you through some good ways to refresh existing content and potentially boost rankings. 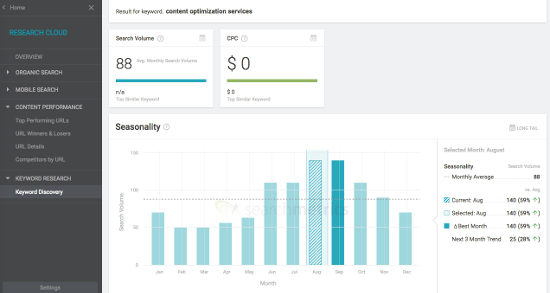 Using the Searchmetrics Content Experience, I’ll walk you through three key areas of content optimization. First, I’ll talk about how to access your existing content and prioritize it based on the top ranking pages. Then I’ll show how users can check for topic seasonality to maximize your chances of ranking higher with repurposed content. Finally, we’ll dig into the Topic Explorer and Questions section of the platform to give you ideas how to reinvigorate your content. 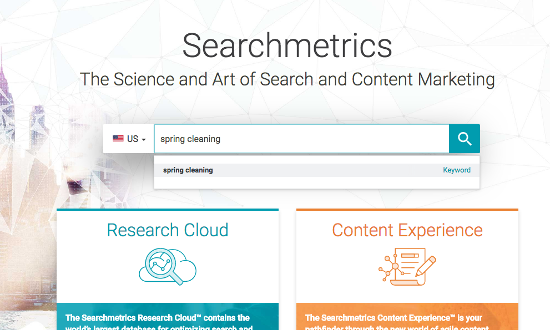 Think of this blog post as a belated spring cleaning guide – with an SEO twist! Most people know that without guidelines for where and how you want to improve organic traffic, trying to take inventory of your website is akin to boiling water in the ocean. So much of search engine optimization is based on user signals, from both searchers and search engines, that it can be challenging to balance those requirements against the writing process. I’ve found the best place to start is in the Top Performing URLs section. 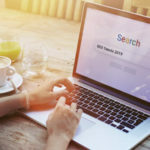 You can see top-performing URLs based on where they rank in the Google SERP, and you can filter the URLs based on the earned and paid KPIs that are most important to your business. In this way you can evaluate whether the page is already ranking (Position), where it’s ranking for the right keywords (URL/Keyword), and a snapshot of the kind of Search Volume the ranking terms command. Say Yes to a Guess? Why is this valuable? Knowing which pages are ranking lets you focus your optimization strategy on existing content. 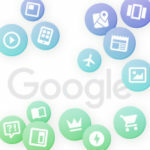 This comprehensive set of search engine optimization factors will prioritize what you’d otherwise have to guess at, balancing between the needs of the reader and marketing return. A quick tactic that can pay dividends to your social media team (they love the increased visibility refreshed content offers) is to use the Filter drop-down button and filter all Top Performing URLs by position. I like to choose positions 7-10 since these are already ranking on page 1 of the search result pages. 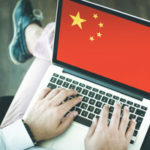 Conversely, they are potentially in danger of slipping further down the page if a competitor were to outperform your content. These pages are the best use of your writing time in terms of SEO content that is performing well but could use a refresh. The content writing process is difficult enough; don’t waste further time trying to guess at the SEO strategy you should also bake in. Some might think seasonality is only important when you’re writing new content. But it’s just as important when you’re updating old content. In some ways, it’s even more important when it comes to SEO content and keyword research. Everyone knows there’s no sense in updating a page about Christmas decorations when it’s August, right? Always one to practice what I preach, though, I turned to data to see just how on-point my topic would be. I performed a quick keyword search, one of the very first steps of using SCE, and discovered the seasonality data did not reflect what I thought to be true in my head. This is how I was able to quickly determine that I had missed the target time for creating a web page relating to spring cleaning. 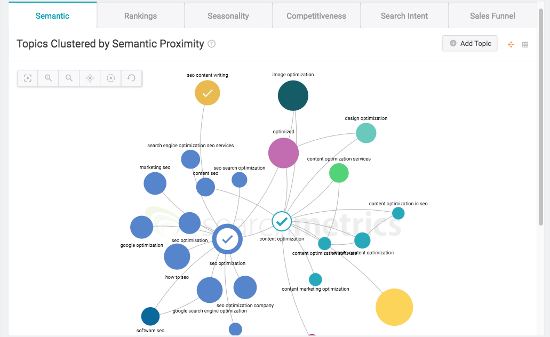 Rather, I found that by looking at other topics like “content optimization services” I could at least be more seasonality relevant going forward for this term. What is the value in understanding Seasonality? A topic’s seasonality will show you when you need to begin refreshing content prior to the most relevant month. In this case, the term “spring cleaning” has the correct connotation, but seasonality data illuminates the fact that off-page, this term is highly seasonal. Interest piques in March and isn’t particularly relevant as a search term for much of the rest of the year. This is why it’s helpful to quickly determine the seasonality of the topic you want to center your current, on-page optimizations around. You need to know if and when the term is seasonally relevant to your audience and what other forms of content (videos, guides etc.) would improve the user’s experience if they were to land on your page. That way you don’t waste a gorgeous summer day toiling away on optimizations that don’t improve your page’s visibility. The idea is to republish existing content with new content or refreshed content at the right time so that it has the most impact. 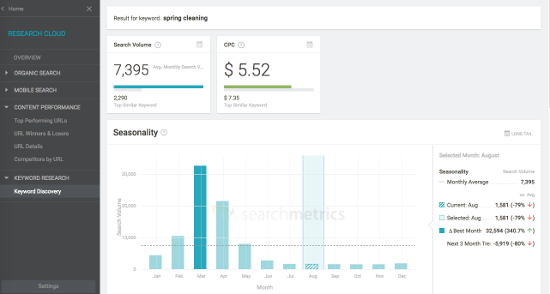 Now that we know more about how seasonality affects existing content, it’s time to look at features like the Topic Explorer and Question Finder for ideas on updating existing content and addressing relevant questions for your readers. Similar colors indicate which topics are related. The variance in size indicates the relative amount of Search Volume (listed below this screen shot). Ideally, your strategy behind updating existing content should involve a large topic, and then incorporate a couple medium-sized topics onto your page. Why? This means you’re still addressing a topic with high level of interest. Adding related topics to that page means your content will more holistically address the topic. This balance allows for the realistic possibility of improving your rankings in search results. 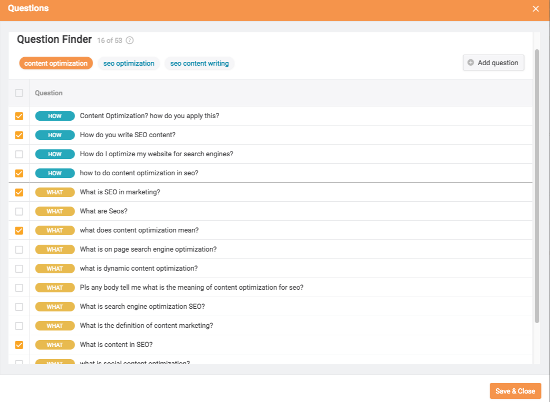 Finally, the Question Finder is a great resource for enhancing the content on your page to improve user experience. Your customers ask questions and need answers. These questions are ordered in descending relevance. These are useful indicators of the users’ problems; addressing them on your page could mean the difference between a conversion or a bounce. 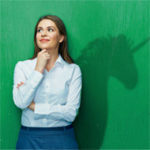 Put these tips into practice while your co-workers are out frolicking means you won’t be left floundering when it comes to quickly and concisely updating content that’s ranking. It can be a bit of extra work, but by imposing structure on a process you force yourself to navigate around the process, thereby finding new ways to get things done. In other words, in order to think outside the box, you first need a box.